What does liability insurance cover? Liability insurance covers bodily injury and property damage, and is required in most states. Although these can be seen as separate insurance, they in fact go hand-in-hand. This will cover expenses from injuries to other people in the unfortunate event that you are at fault in a collision. What does it pay for? 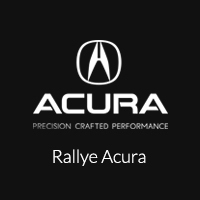 Check out our Rallye Acura guide to see what liability insurance pays for on your Garden City new Acura model. Remember the key factor is that this coverage is for the victim of the accident, not the driver at fault. It’s also important to set proper limits on your liability coverage that align with how much your able to offer. Split Limit – Manhasset drivers can select individual maximums for bodily injury and for property damage. To learn more about liability insurance, and to see how it will directly affect your Manhasset drive, stop by Rallye Acura! We have a variety of new Acura models like the RDX and MDX for you to choose from. Contact us with any questions you may have. 0 comment(s) so far on What Does Liability Insurance Cover?